just what it is travelers desire most when away from home, a cozy environment and superb service. 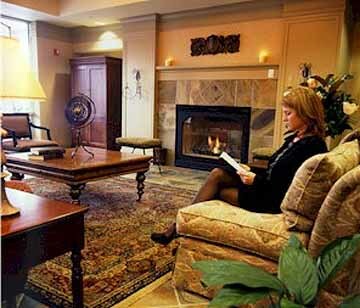 The Silver Cloud Inn wonderfully caters to both the leisure and business traveler at easily affordable rates. The hotel is located near many of the popular attractions that have made Seattle one of the most popular destinations when visiting the northwest. Area attractions include the world famous Space Needle, Seattle's Waterfront, the Pike Place Market and the University of Washington. king size bed. All guest rooms and suites are painted in warm soothing tones, putting guests in a vacation state of mind. mail and data port/modem hook-up for personal computers. Other in-room amenities at the Silver Cloud Inn Lake Union include coffee maker, complimentary coffee, iron, ironing board, hairdryer, vanity, radio alarm clock, refrigerator, microwave and electronic door locks. 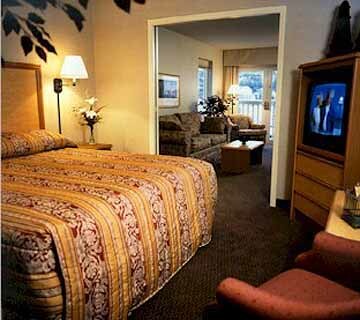 Non-smoking and handicap accessible rooms are available upon request. Guests may make local telephone calls from their rooms for no additional charge. Check-in is at 3:00 pm and guests must checkout of the hotel on the day of departure by noon. their journeys lead them to Seattle. The hotel not only has meeting facilities, but a well-equipped business center as well. The concierge can arrange everything from a tour of the city to transportation to the airport and dinner reservations. Mom and dad can enjoy a romantic night out at any of Seattle?s phenomenal dining establishments and be assured that their kids are in safe hands as the hotel offers baby-sitting services. Other guest services include handicap facilities, free parking, valet parking, laundry, dry cleaning, complimentary newspapers, wake-up calls and safety deposit boxes. There are also many ways to unwind at the Silver Cloud Inn. On-site recreation includes a fitness facility and spa in addition to both an indoor and outdoor pool. There is an abundance of water related activities nearby. Water skiing, fishing and sailing can all be arranged through the hotel?s concierge. Although the Silver Cloud Inn does not have a restaurant on the premises there are numerous tasty restaurants in walking distance of the hotel. A continental breakfast is served to guests of the hotel each morning. 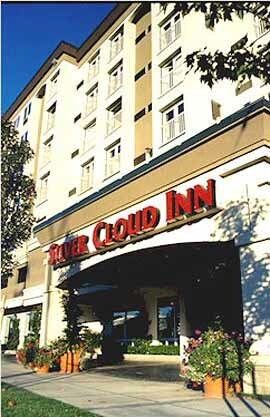 The Silver Cloud Inn Lake Union is located at 1150 Fairview Avenue North just minutes away from downtown Seattle, Washington.